Tired of being bitten by people who wish to do you harm? 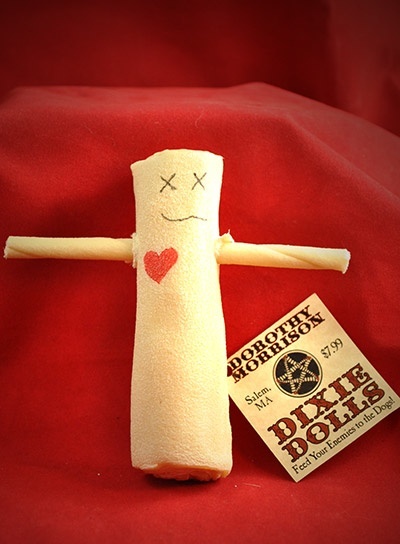 Bite back with Dorothy Morrison's Dixie Dolls. 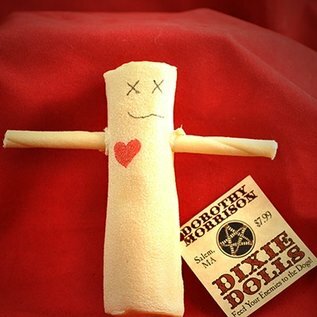 Write the name of the one who has wronged you on the doll (in edible pen) and let your dog chew them up.